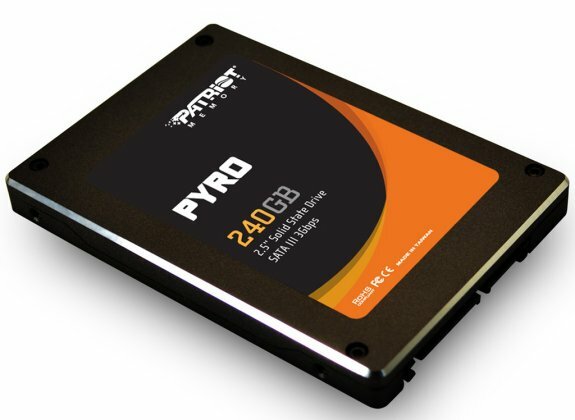 TPU reports Patriot's Pyro series SATA 6Gbps SSDs will soon hit retail stores. These models will be available in capacities of 60GB, 120GB and 240GB, they use the SandForce SF-2281 controller. It will be availabile in capacities of 60 GB, 120 GB, and 240 GB. The 120 and 240 GB variants will offer transfer-rates of up to 550 MB/s read, 520 MB/s write; while the 60 GB variant gives 515 MB/s read, 490 MB/s write. Similarly, the 120 and 240 GB variants offer 85,000 IOPS 4K random write performance, while the 60 GB one offers 80,000 IOPS. Backed by three-year warranties, all three variants will release in markets soon.